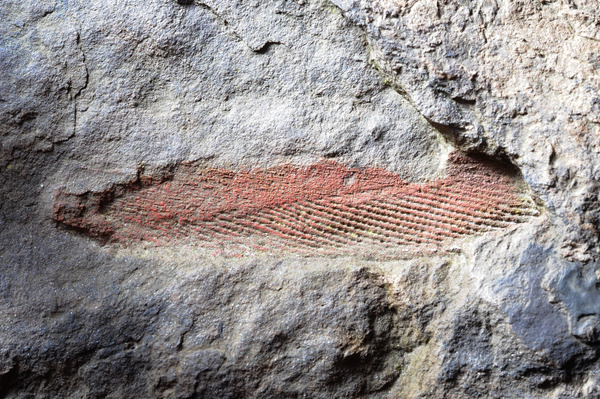 Three hundred and fifty million years ago, two little fishes were swimming happily in the area where Mansfield quarry now sits. 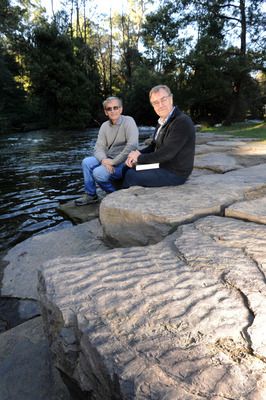 Those same fish have now moved to Warburton and are fossilised in rocks used to create the wharf precinct. 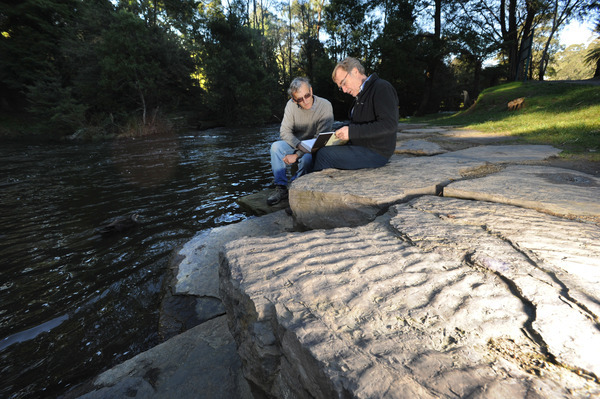 It is believed the fossils were first seen by Dr. Peter Sorensen Ward whilst listening to the sounds from the River Folk Festival. Dr. Ward, now living in Finland but whose parents live in Big Pats Creek, alerted friend David Borton, a retired geologist from Warburton. “I’ve known about it for nearly a year now and apart from showing it to Ivor and a few others, I would say, as a general rule, almost nobody knows they exist,” said David Borton. 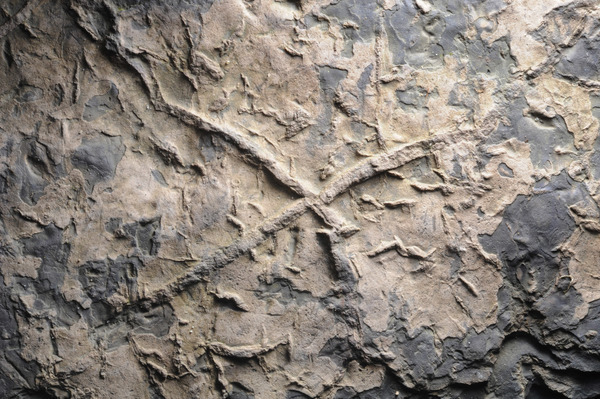 Ivor Wolstencroft, local retired vet, says that although the fossils are rare, it’s important that people get to know about them. “Locals get really excited when they hear about this,” he said. 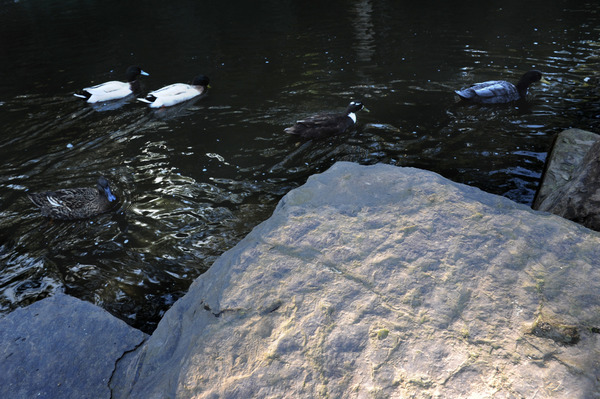 The rocks comprise river and lake mudstones, siltstones and sandstones of the Lower Carboniferous Mansfield Group. 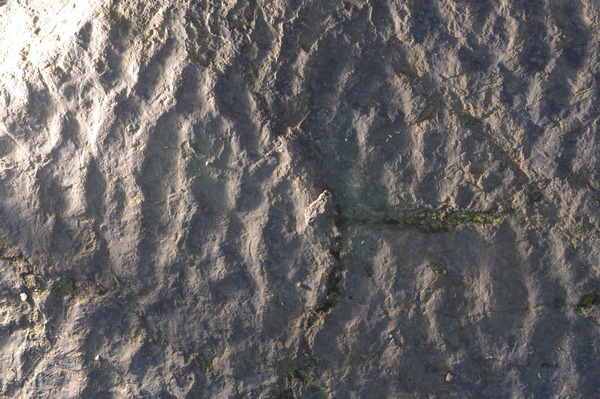 There are obvious ripple marks and mud cracks on many of the rocks but the fossils are not as easy to spot. 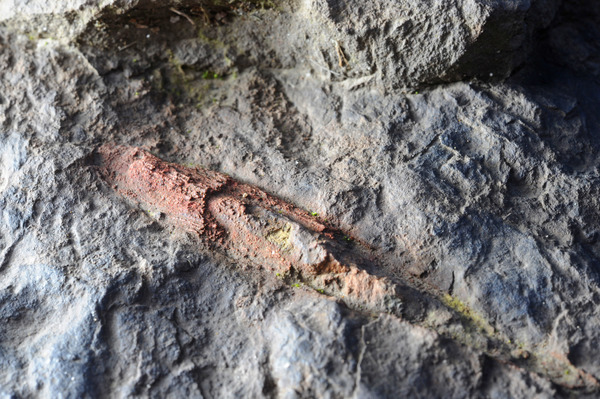 “I spoke to Peter and we are both comfortable to tell the world about this find. 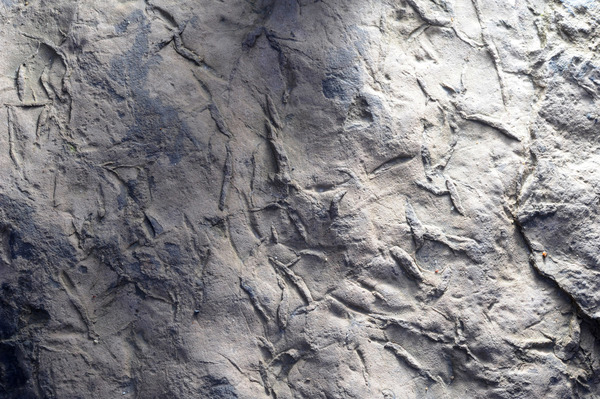 There are ripple marks, mud cracks that are easy to spot but then there are the fossils,” Mr. Borton said. 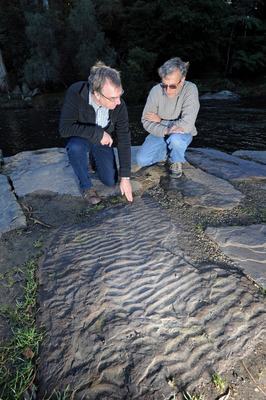 The rocks were brought in from the Mansfield Quarry and David Borton was able to trace them back to the area where fossils of this type have been discovered previously. 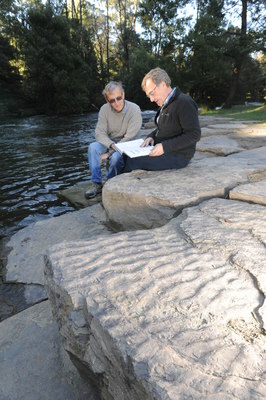 “This is a great find and we are all really excited about sharing it with our community and anyone else who is interested in visiting Warburton on their own voyage of discovery,” David said.